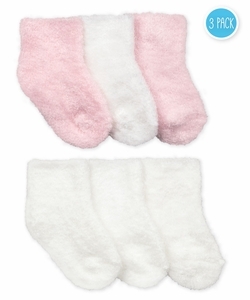 This three pair pack is super soft, warm, and fuzzy! Keep your little one's warm and fuzzy with these precious booties. Free shipping on orders over $35.00!! !